I will be working on the above mentionned population at the Kutuharju Field Reindeer Research Station in Kaamanen, Finland (69°N, 27°E). The pedegree of these animals is known, allowing me to do individual based investigations. N. Djaković, K.H. Roed, R.B Weladji & Ø. Holand (2009). 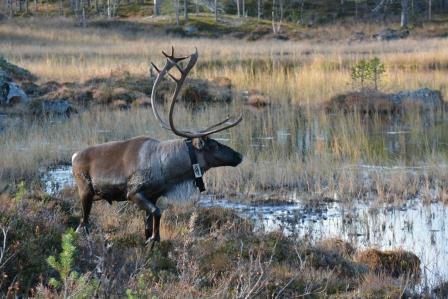 MHC and mate choice in reindeer (Rangifer tarandus). 12th Congress of the European Society for Evolutionary Biology will be held in Torino, Italy, August 24 – 29, 2009. Todorčević M., Kjær M.A., Djaković N., Vegusdal A., Torstensen B.E., Ruyter B. (2009) Dietary n-3 fatty acids affect fat deposition, susceptibility to oxidative stress, and apoptosis in Atlantic salmon visceral adipose tissue. Comparative Biochemistry and Physiology Part B: Biochemistry and Molecular Biology, 152(2):135-143. Djaković N., Fjelstad E., Holand Ø., Weladji R.B., Roed K.H., and Nieminen M. (2009). Females’ spatial organization during rut. 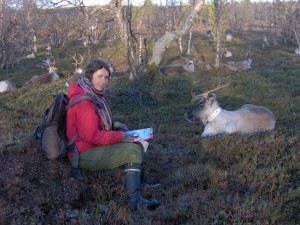 15th Nordic Conference on Reindeer and Reindeer Husbandry Research, 26 – 29 January 2009, Luleå, Sweden.